"It's game after game after game. 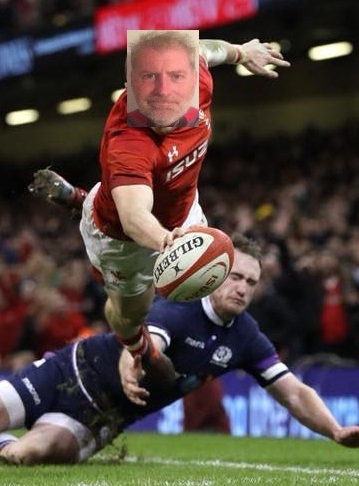 Domestically the standard is so superbly high, then they go into Europe - the games are back to back - then all of a sudden they are into the Six Nations." ... which is why they only got one team into the RCC quarters, as 8th seed, presumably. My God, I feel sorry for these Englishmen! We heard these arguments during the ERC shake up "Its not fair, Pro12 clubs are looking after their players! They get rest during the season, gives them an advantage"
To even things up their response was to impose qualification based on league places. "That way all teams will be equally bashed up. Great"
How many AP sides would have got through if they were building a squad with our budget? They can’t have it all. They can’t complain of being tired and the layout of the season, it’s the same for every nation in the northern hemisphere. All the pro14 and top14 teams have to qualify for Europe and go straight from one tournament to another and the pro 14 teams also have to do so on almost half the budgets of the AP teams. All international players get fatigued during the course of a season, it’s just how you manage it is key. I suppose because of the large sums of money that some of the English players earn with their clubs, those clubs are less inclined to rest them as much as maybe a pro 14 club might. Maybe they should stop playing their big boys in the awc that would free up some time for them. The vastly superior budgets in the Premiership, and the fact that they lose far fewer players during the Test windows (yesterday I saw a Sarries fan complaining that they'll be without 5 players for the 6 Nations ), mean that they have far greater squad depth than any other teams in Europe, including many high-quality overseas players. If they can't manage their resources properly, perhaps they shouldn't be allowed them. Don't think Saracens are too concerned about managing resources - they just keep cranking up the over draft until someone tells them to stop. Farrell's on a reported £750k pa closely followed by Itoje & the Vunipolas. I have never seen it as a sustainable model but what do I know?
. I have never seen it as a sustainable model but what do I know? Professional sport the world over relies on wealthy backers whether it be Pro14, Aviva Premiership, NFL or prem league soccer. I take your point - I guess its just a matter of degree. We certainly couldn't rack up £5 million plus losses every year as Saracens seem to. The Wasps model seems a little different. What is the acceptable level of debts /losses then? And who decides this? £500k? £1m? £3m? 'Sustainability' is very much a redundant word when it comes to professional sport in my opinion. Don't they have some sort of 'fair play' model in soccer nowadays, whereby if clubs overspend too drastically they have a transfer ban imposed on them? I don't think it's very effective, but it might be worth considering in rugby, as being better than nothing. I'm not sure Paris St Germain are adhering to it if they do. Again, it comes down to the definition of "overspending".